Ahmed Khan -a member of India's gold winning football team at the first Asian Games in 1951- passed away at the age of 91. He represented India two times in Olympic Games -- 1948 in London and 1952 in Helsinki. Moreover, he participated in two Asian Games in Delhi and in Manila. National Research Development Corporation (NRDC), the technology transfer and commercialization arm of the Ministry of Science & Technology, has won two awards. The International Association of Advanced Materials (IAAM) Sweden honoured Dr H Purushotham, Chairman and Managing Director of NRDC, with the IAAM Medal 2017 for his outstanding contributions in R&D of Material Science and Technology. Moreover, NRDC also won the Assocham Services Excellence Awards 2017 in the area of Technology Transfer Services. "Gobindobhog Rice" received "Geographical Indication Status"
Gobindobhog rice -a special from Burdwan district of West Bengal- has received the geographical indication (GI) status. In India “Darjeeling tea” was the first product to receive GI tag. 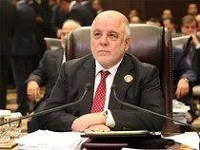 Iraqi PM labelled Kurdish Referendum as "Unconstitutional"
Prime Minister of Iraq "Haider al-Abadi" said that the referendum on independence of the semi-autonomous region of Kurdistan was “unconstitutional”. Consequently, he rejected the Kurdish attempts to include the “ethnically-mixed province of Kirkuk” in the referendum. Sri Lanka defeated against India in both test and ODI series. Consequently, Sri Lankan head for cricket team selection ‘Sanath Jayasurya’ has resigned. The Union Home Minister Shri Rajnath Singh inaugurated “YUVA” – a skill development programme that has been initiated by Delhi Police under "Pradhan Mantri Kaushal Vikas Yojana" . National Skill Development Corporation shall impart skill training to the youth under ‘Pradhan Mantri Kaushal Vikas Yojna’ (PMKVY). Adding further CII will provide job linked training. NITI Aayog declares "Women Transforming India Awards 2017"
Celebrating the outstanding achievements of women of India in 12 critical areas, NITI Aayog, in collaboration with My Gov and the United Nations, announced winners of the "Women Transforming India Awards, 2017". Goat veterinarian Sunita Kamble for creating alternative livelihood opportunities for women, Lakshmi Agrawal for a champion of violence against women, Safeena Husain for her work to transform girls' education in rural areas, Raji Borthakur for creating a smart glove which can predict epileptic seizures before they occur, Arunima Sinha for being India's first amputee to climb Mount Everest and Jamuna Tudu for conserved 50 hectares of forest land around her village in Jharkhand. The Uttar Pradesh Govt. cabinet chaired by Chief Minister Yogi Adityanath has decided to discontinue the process of holding interview for the government's non-gazetted posts of Group B, C, and D categories. This step is taken keeping in view system followed by the Government of India. However, for recruitment of gazetted officers in Class II category, Interview is must. As per aforesaid survey, awareness about single window systems is very low among enterprises across India. The Single window system permits businesses to complete regulatory formalities from a single location or institution. 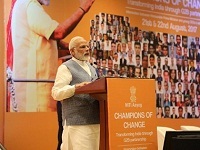 The survey was carried out by Niti Aayog along with IDFC Institute, a Mumbai-based think tank. As per Finance Minister Arun Jaitley, GST taxes worth Rs 92,283 crore were collected in July from 64.42% of the total taxpayer. Goods and Services Tax (GST) is an indirect tax which was introduced in India on 1 July 2017. The GST is governed by a GST Council and its Chairman is the Finance Minister of India. As per Government’s new foreign direct investment (FDI) policy i.e. "Consolidated FDI Policy”, foreign airlines will not be allowed to buy stake in the national carrier “Air India”. 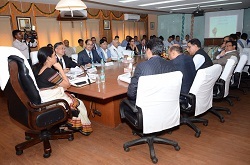 Under the “Hastkala Sahyog Shivir” , Ministry of Textiles will organize Pan India camps during 7th to 17th of October. 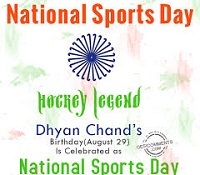 National Sports day is celebrated on 29th august every year to mark the birthday of Dhyan Chand. Defence Minister Arun Jaitley handed over the Long-Range Surface-to-Air Missile (LRSAM) to the Indian Navy. It has been jointly developed by India and Israel. To protect businesses in India from online threats, Bharti Airtel has entered into a partnership with Symantec Corporation. The objective of new Atomic Fuel Reserve in Kazakhstan is to ensure the supply of nuclear fuel due to political or market problems. The reserve will store low-enriched uranium (LEU) that is used in making fuel. 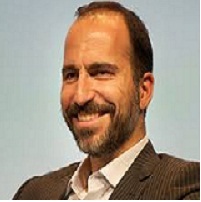 Uber's board of directors have selected “Dara Khosrowshahi” as the company's new CEO. He will replace “Travis Kalanick”. Real Estate firm Supertech has received green signal for developing a sports-centric housing project in Greater Noida that would include an investment of Rs1,130 crore. ‘Sports Village’ will be launched during Diwali this year and it is a 62-acre project. PV Sindhu lost to Nozomi Okuhara in an epic final of Badminton. Still this event is historical for India. For the first time, country's shuttler are returning with two medals. Yesterday, Saina Nehwal won a bronze after losing her semifinal.